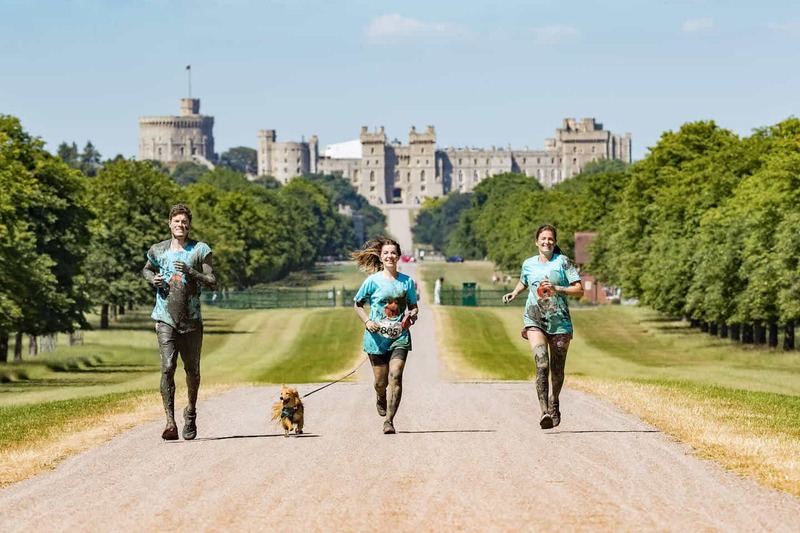 The Muddy Dog Challenge Windsor is back for its fourth year at Windsor Great Park on May 11th and 12th 2019. It’s the UK’s first obstacle course where animal lovers can compete in 2.5km and 5km runs with their pets raise sponsorship to help the dogs and cats at Battersea. Set against a stunning backdrop steeped in history, you can enter in a team, as a duo or if your pet prefers not to get their paws muddy, you can take on the challenge alone. Participants must be aged 8 years or above on event day, and any children aged 8–15 must be accompanied by an adult, also taking part. Dog competitors must be 1 year or older on event day. Friends and family are welcome at the venue and there will be fun activities, music and competitions on offer at the event village. Food and drink will also be served so you can refuel after the challenge and first aid and veterinary support will be available on the day. Want to take part in the Muddy Dog Challenge Windsor? Registration is now open and details can be found here for the Muddy Dog Challenge Windsor 2019. Entry fees vary on your group size and the date you sign up, and early birds will pay a reduced entry fee. Children: For the first time, children over the age of 8 are welcome to enter when with an adult. If you’re registering with a child, please choose Individual and then either Adult, dog and child, or Adult and child. All children aged 8-15 must take part alongside an adult aged 18 or above, who must hold the dog lead for the entire course. If you would like to register another child (one adult can be responsible for up to two children if they are not registering a dog) please email muddydog@battersea.org.uk. Teams: You can run as a team of 2 or more. Simply select ‘Group’ and then follow the instructions. You can then invite more people to join your team at the end of your registration. They can select ‘Join a Group’ and search for your team name. Sponsorship: All participating humans are asked to raise a minimum sponsorship target of £100. Muddy Dog Challenge Windsor image courtesy of Battersea.